The stem is erect and smooth. The leaves are egg-shaped with wavy margins. The flowers are white to pale-blue and arranged in clusters. The berries are round, green when young and turn black when ripe, hence the name. The green berries are poisonous. A nightshade plant can produce as much as 5,000 seeds. 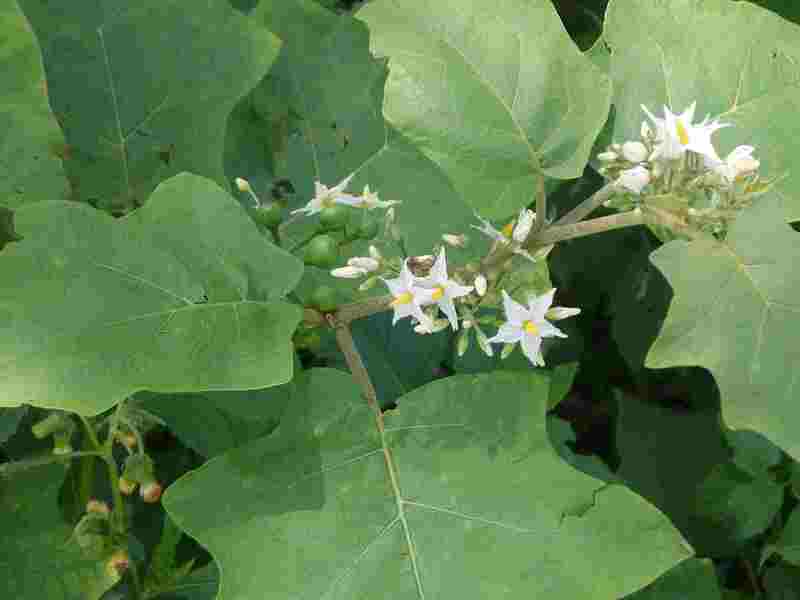 Black nightshade is an alternate host of pests found on corn, tomato, eggplant, pepper, potato, legumes, and other crops. Its seeds are easily mixed with beans during harvest. The juice of the ruptured seeds stains and causes the soil to stick on the harvested crop. It also disrupts the harvest operation and lowers the quality of the produce. The plant is eaten as a vegetable and for its ripe fruits. It has medicinal properties, with the leaves, stems and roots used as a poultice on open wounds, boils, and sores. Studies show that the Black nightshade weeds become resistant to Paraquat on some vegetable fields in Malaysia and also resistant to Atrazine when infesting some corn fields in Belgium, Czech Republic, Germany, Italy, New Zealand, Spain, Switzerland, and UK; cropland in France; and orchards in Poland (Weed Science, 2005).